Help the celebrated novelist, Cate West, find a dangerous murderer in this exciting Hidden Object game! This thrilling sequel to Cate West: The Vanishing Files, follows Cate to Damasca, where she discovers a new mystery. 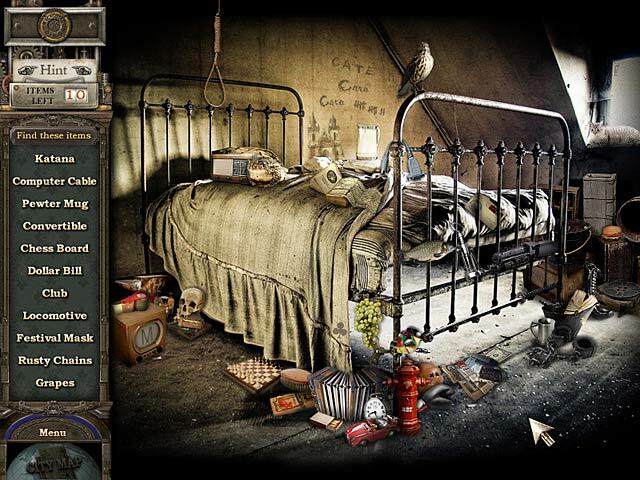 Gather the items required to forge the enigmatic Velvet Keys and crack the case. A cinematic atmosphere, incredible graphics and addictive gameplay await you in Cate West: The Velvet Keys! 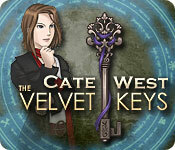 Cate West: The Velvet Keys is rated 2.7 out of 5 by 9. Rated 4 out of 5 by Billybadass4018 from A little repetitive but not bad Like I said the game is a little repetitive but it does offer a small variety of puzzles and HOS. Range from FROGS to matching the scenes and list HOS. The puzzles were not difficult by any means. The artwork was nicely done. It was difficult to find some objects. My main problem with that is that my screen is 17'' and the game did not expand to fit my screen. Unfortunately this happens for several games I own. The storyline was ok, but I did not understand it all because I have not played the previous Cate West. Nonetheless, I did enjoy the game and I ended up getting the best ending. The game offers different endings depending on your score. Rated 4 out of 5 by rosekaufmann from Fun and easy game Based on complete game, relaxed mode. Storyline: easy to follow, logical (so what if it can never happen?). Interaction with co-stars is somewhat corny. You earn points and the total determines the ending. Lose points for skipping puzzles, earn extra by finding several objects fast. Fairly lengthy (you have to identify quite a few people). 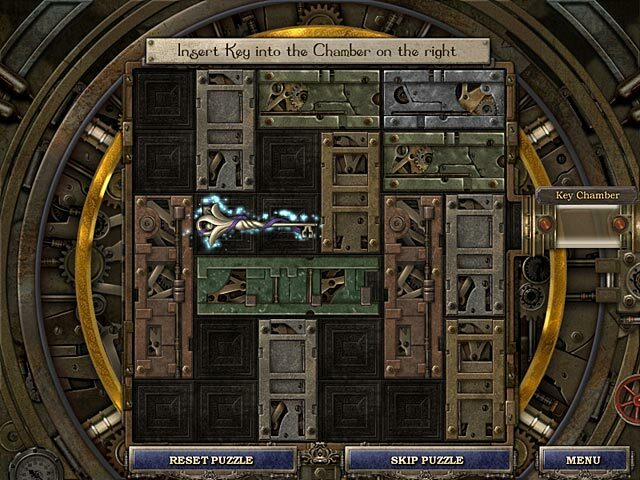 Puzzles and mini-games varied from find related objects to sliders to match the scene. The memories puzzles frequently had one or two riddles that required some thinking. HOS: Lots of them of various types - standard find list of objects, FROGs, find a number of the same items and place objects to duplicate the-scene. All the HOS seemed fair (well defined, no tiny objects), though a few were cluttered in spots. Hint system refills very fast. If you only played the demo, got to the point that you identified someone and liked it, you will like the game as the process of identifying people is repeated for each person. I did not have any technical issues expressed by a few others and I've had the game for some time. Newbies might want to play to advance their game skills and that is the basis for giving it 3.6 stars, rounded up. Rated 3 out of 5 by pennmom36 from Cate West: The Velvet Keys This is the second game Cate West has to offer the first being The Vanishing Files. Cate West is a novelist who has a gift for seeing things simply from touching items. The goal in this game is to find a dangerous murderer and find items needed to forge the Velvet Keys. The graphics are very well done and you earn points from the games by finding items quickly for example, the points you earn actually determine the ending which is really cool in my opinion. The HOS are a mixture of list finds, fragmented pieces which form into one item, finding multiples of one item such as 10 feathers, and placing objects into the scene. Everything about this game is different and I think this actually makes some gamers dislike the game, for me it doesn't have any wow factor, but it's not bad either, enjoy! Rated 3 out of 5 by cbilbo from Not my favorite This game was ok. As I said, it sure isn't one of my favorites. I like for my hidden object games to present me a challenge. This game is more geared for the beginner. I found the storyline not able to keep my interest. After playing many hidden object games, I have become picky in my animation. This was more comic book feel to me. The objects were easy to locate. I like to have a challenge in my games. This game is geared more to a beginner. Gives them an opportunity to learn how the hidden objects work. Rated 3 out of 5 by mspaws from very slow gameplay This and the other Cate game are not games for me. Too slow and I did not find it fun. Maybe these are games that have been around along time! But for new gamers this would be a good starter game. Rated 2 out of 5 by bigCharley from Items dark I thought the items were too dark and too small at times to find. I didn't enjoy the game. Rated 2 out of 5 by Rudygeegee from Just Not A Good Game Game looked interesting. Played it but just could not like it. Storyline doesn't exist, puzzles aren't that interesting and the HOS just don't make any sense. Had a problem with the pointer that didn't help, either. Bummer. Rated 2 out of 5 by agreyowl from Poor gameplay, lackluster story. The scenes and objects are composed of myriad junk that seems like it was just vomited onto the screen. 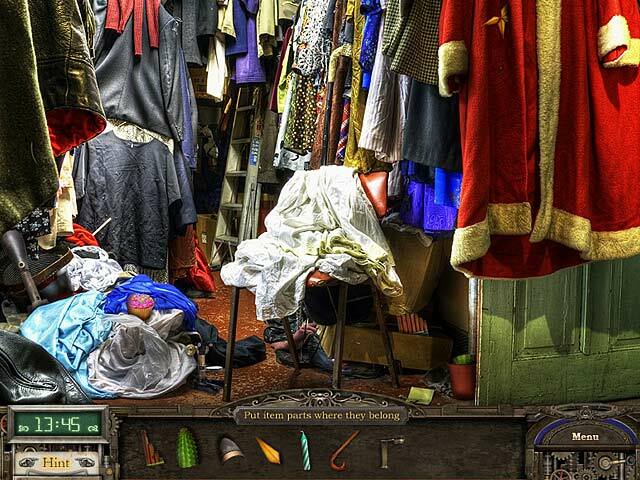 It's a perfect example of a hidden object game in which no effort was made to integrate the objects with the scenery, and things are just hanging in the air in random places (like a wrench hidden in the fabric of a curtain, for example). The scenes and objects also get really repetitive, and the game repeatedly has you find the same objects in the same scenes. I wish I could say that the story made up for the poor gameplay, but it didn't. It struck me as somewhat nonsensical and needlessly drawn out. The game moves at a frustratingly glacial pace, and I found myself just wanting to have it over with. Obviously, games are meant to be fun, so wishing the game would just end is a pretty bad sign. It's not the worst game I've ever played, but it isn't worth buying. Rated 1 out of 5 by tookat from A great disappointment I purchased this game on the basis of the story line, but.... There are posts about a technical issue that are almost a year old....perhaps older, I write my revue in March of 2012, and the technical issue posts are dated May and June though without a year. This game still kills the system pointer and the only way to get it back is to bring up another screen or power off. On top of that, though there are many variations on HOGs they are all of the scattered junk variety, hard to see even with a magnifying glass. The story line looked interesting but going through the story scenes has been slow and little new is said in any of them. There may be some that like this game, but if you are vision challenged you may want to skip this unless you use the hints, which seem to be generously offered. I can't even recommend this game on the variety of the puzzles. I bought this game as either a DD or a Treasure Chest deal......and wish I hadn't.